Our range of Disposable Bed and Chair Pads all have super absorbent cores that draw and lock away liquid away as quickly as possible. This is to help protect the bed or chair, but also to help keep your child's skin as dry as possible. 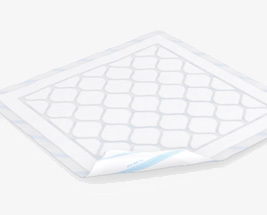 The pads spread any liquid evenly across the surface to give the best possible dryness, with the pads being available with or without tucks, depending on your preference.